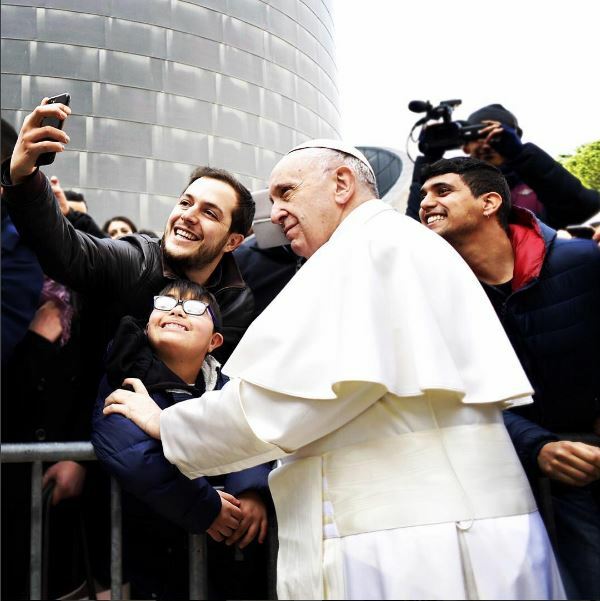 Pope Francis has millions of adoring fans around the world, but it’s not all roses: his immensely popular image is generating conflict. Jorge Mario Bergoglio was elected by a papal conclave to succeed Pope Benedict XVI on March 13, 2013. Bergoglio took the name of Francis, to honor St. Francis of Assisi. It was an unexpected appointment, mainly because Francis is a Jesuit pope, the first from the Americas and the Southern Hemisphere. From the outset, it was clear that Francis would not be a traditional papal figure. In his very first Holy Thursday service, he included women and Muslims in the foot-washing ritual. He is considered a “no-frills” pope, because his manner is much less formal than his predecessors. Pope Francis chose to live in the Vatican guest house instead of the official papal residence. He has also made countless news headlines over years when speaking out on social issues, such as LGBT rights and the negative aspects of capitalism. In short, he has shattered many norms in the Catholic Church. In 2016, when Pope Francis became the first Pope to open an Instagram account, he gained over 1 million followers in just 12 hours. Today, he has over 3.6 million followers. He is shown posing for selfies, smiling for the camera with adults and children alike. 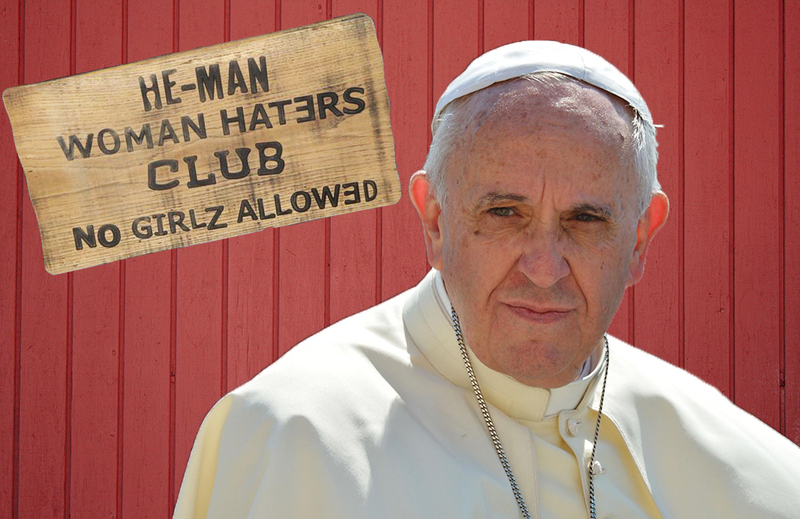 It makes for a personable papal image that further contributes to his popularity. His progressive stances on many issues have made Francis a celebrity in the eyes of people all around the world. In him, they see the potential for change in the Church – reforms that some insist are necessary to adapt in the modern age. Pew Research conducted research regarding the Pope’s popularity in America. They found that in 2015, 90 percent of U.S. Catholics had a favorable view of the Pope – comparable to the ratings enjoyed by Pope John Paul II. More interesting, however, is the Pope’s popularity among non-Catholics. When Francis was first elected, his popularity among non-Catholics was about 60 percent. Within his first two years, that number jumped to 70 percent. However, the pope’s popularity in America might be waning. Among Evangelical and mainline Protestants especially, the Pope is losing ground. Some believe this drop is due to the pope’s public clash with Donald Trump in the leadup to the 2016 election. Francis notoriously said that a person who “only thinks about building walls … and not building bridges is not Christian.” The accusation riled many Christian Americans who supported the then-candidate for president. 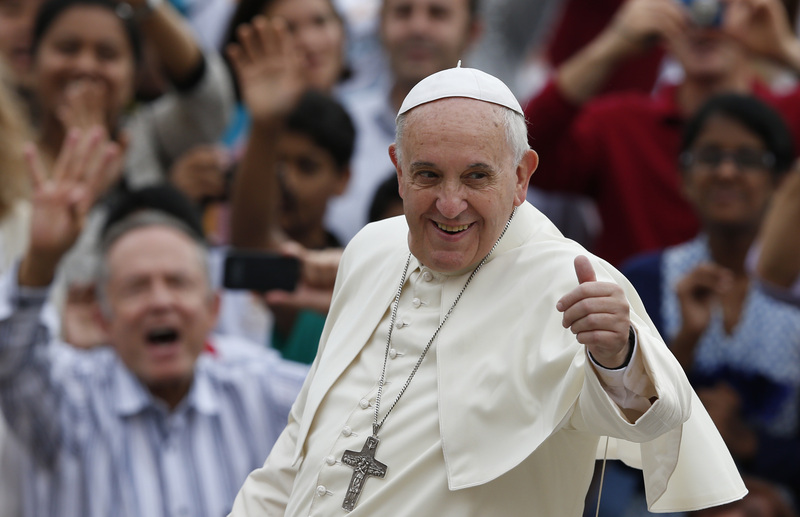 Pope Francis’ global popularity has made his image very marketable. In a world where images are so easily reproduced, the Holy See believes that the Vatican is losing control of the pope’s image. While it’s always been common for the pope to be venerated on flags and medals, now companies want to use the pope’s name on products or buildings. The Vatican has made its stance clear: it does not want the pope’s image to become commercialized. They recently made a declaration that anyone who wants to use the Pope’s name or facial image must first request authorization to do so. Anyone who uses Pope Francis’ image without permission could face legal action from the Vatican. The new policy has been met with vocal opposition. Critics point out that the Church happily sells souvenirs with the image and name Pope Francis. Why, then, should others be forbidden from doing so? They say that the rule change is clearly financially motivated; the Vatican wants to be the sole entity to profit off the pope’s image. Defenders of the rule say the issue is spiritual. The pope is a revered figure in the Catholic Church and around the world. While he may take on the traits of a celebrity, his image demands more respect than that. In short, his face shouldn’t be used to sell t-shirts. So, how should we treat the pope’s likeness? Already an inspirational figure to millions as the head of the Catholic Church, Pope Francis has reached millions more through his unique candidness and open-minded beliefs. It’s only natural that his image has become popular. On the other hand, Francis represents a certain set of holy ideals that are antithetical to commercialization. Many Catholics are uncomfortable with his image being used as a money-making strategy. Where do you stand? Should the pope’s image be monetized? Is the Vatican’s new policy hypocritical, or are critics overreacting? I believe that his image should only be used for religious purposes. It is okay for a religious candle, for example, but not on something like tee-shirts. It should not be used as a symbol for selling nonreligious items by any company. I have seen him as a collector doll and that is okay just as it is using an image of the Virgin Mary. 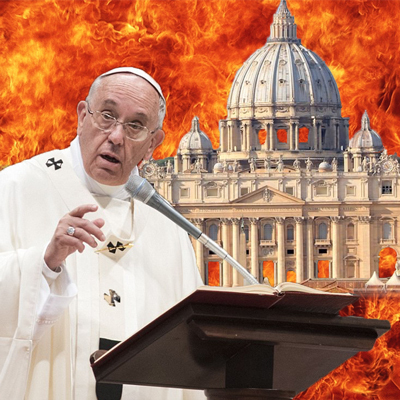 The man who people refer to as “pope” Francis is not the true Vicar of Jesus Christ but the very False Prophet. Our true Holy Father remains Pope Benedict XVI, even though he was ousted by the Masonic forces which have infiltrated the Vatican at its highest echelons. book of ‘trooth’: You’re ‘blowing smoke’! According to your Bible the ONLY Holy Father is GOD! And,JESUS is the ONLY way to God. You can believe what the Bible says and find a way to salvation . . . . . or believe the lies of church tradition and false teachings and be eternally lost. Amen² TRUTH is The King of Kings.👀👃👀Jesus. Herzliche Glueckwuensche, Diiane Baum !!! Ich bein einverstanden mit Dir und alles was Du geschrieben hast. Ich wuensche Dir alles gute !!! Ich bin einverstanden mit Dir, Diane. Ich lese alles, was Du shreibst und merke, dass Du Jesus Christus liebst und ihm Dein Vertrauen schenkst..
Bleibe immer mit Ihm, damit er mit Dir bleibt……. Gott wird Dich segnen und zwar fuer alle Zeiten……. Pope ,shmope, you want to commune with God smoke more dope . 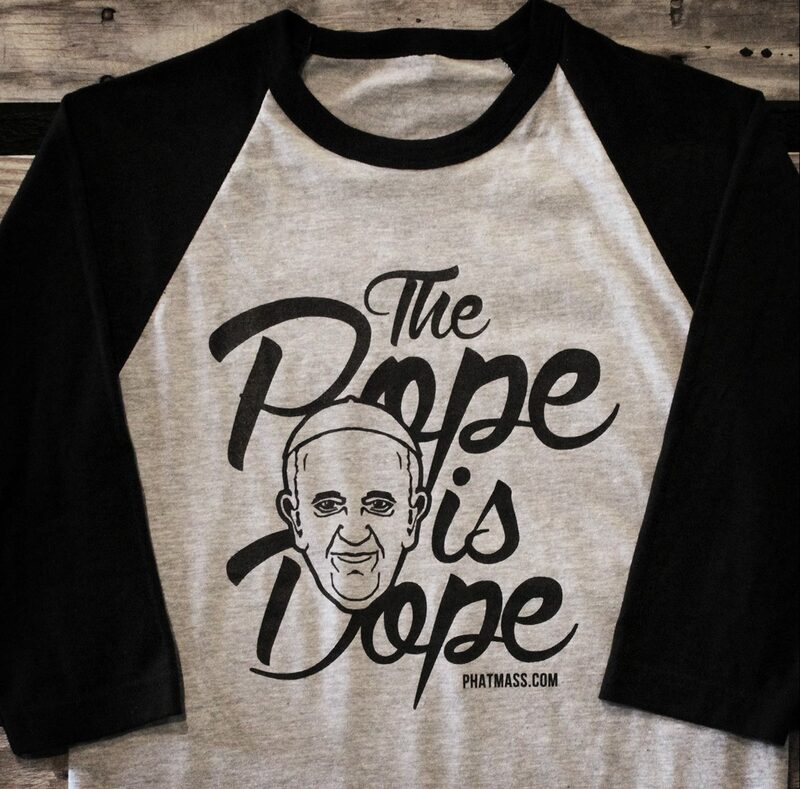 I would buy a Pope is Dope shirt , it was great. Prohibition against idol worship and images. Amigo Ellis, I try always to warn the innocent people against Rome and the Catholic Church, which has never had a relationship with Christianity. WOW! I am a Christian with Christian values. I Honor the Holy Father for his progressive views. I don’t particularly like negative portrayal of anyone on a T-SHIRT but I would wear photo of Jesus, Mary or Pope Francis in a positive manner no matter who sold it. There is a big difference between honoring and idol worshipping. Blessed are the Peacemakers! All popes have been the soldiers of Lucifer, fighting against our Holy father and Creator. Never believe in those false profits…………go to Jesus Christ and you will be happy. Actually, your post sounds rather hate-filled…. As far as the Masons go, it’s simply lacking in knowledge of the organization you condemn. BRK–your lack of education is indicated by you inability to spell correctly and your rantings. and all have their low lifers and abusers. So away with the hypocrisy, sell T-shirts, make that money. such a sad response. You have taken the whole reason why Jesus came to earth– to straighten us out and show us, by example, what God expects us of us–away. Yours is the very table He would have overturned in the temple. Maybe it’s me. I think the whole thing is suspect. Only ONCE in the history of the Church did a Pope step down. A Pope is a pope for life. What forces caused Benedict to step down? There are lots of unscrupulous sorts behind the scenes of the Catholic church, not just the pedophiles who have tarnished the Church’s image and drained their coffers through lawsuits. The Church sees that the only way to get followers and financial support is to have a popular, accessible and admirable person as their Pope. Benedict wasn’t that type, but for reasons unknown he was chosen first, and likely given the option to step down “for the good of the Church”. Lots of things must change for the Catholic Church to remain viable, and Francis seems to be more open to change. I say, whatever works for them. Yes, the Pope owns his own image, and if I were he I wouldn’t want to be on such a lame t-shirt. Religious items, ok. Medals, statues, Prayer cards, rosaries…stuff like that. Personally, I am Catholic, and I find a lot of their practices really antiquated. The Church needs to get into the 21st century. Since I am allowed to decide who gets to use my image for commercial purposes, I don’t see why Pope Francis shouldn’t have the same right. He is, after all a child of the same universe as I am. If it were a personal photo, then it is no issue. However, dressed as the pontiff, there is a problem, namely that it takes away from the ministry that he was called to do: to serve others and bring them to God. Lucifer has called all the popes to represent him on our EARTH to fight the truth and to fight Christianity planted by the only son of the Lord. All other inventions, planted by Lucifer and his soldiers are a proof that Satan=Lucifer, is trying to destroy our Earth. This destruction on our globe, started with the death sentence, planted by the enemies of God and his son, executed by the Romans, who were put under pressure by those who predicate, that they are the chosen people, but really they must be chosen by their own God, Lucifer. Our Creator and father has created us, to enjoy paradise, without wars and daily killing and destruction, realized by the soldiers of LUCIFER, who was kicked out of Heaven and who are know revenging theirselves against our Holy Father and his loved sons. God is blessing his obedient sons and warning us against Lucifer’s sons and soldiers. Your judgement is very important, observing the situation of our current life, filled with hate and destruction. Read the Bible and read Daniel, and you will understand tha our Jesus is coming soon to defeat those BEASTS. 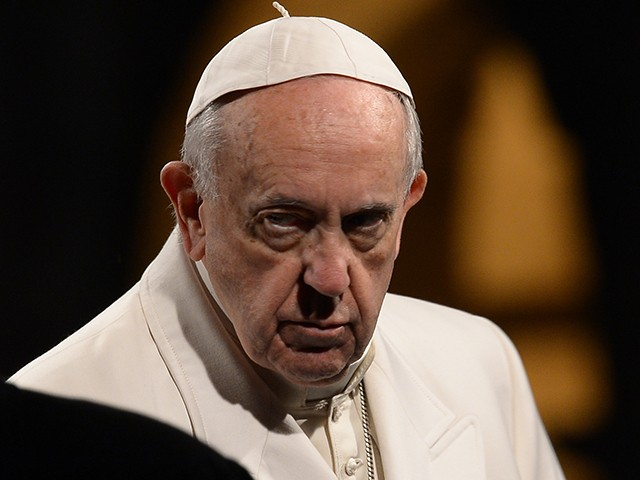 The pope belongs to the OPUS-DAY, a branch that belongs to all other branches and organizations, belonging to those who sentenced JESUS CHRIST TO DEATH………. This pope was elected to repair the rotten and stinking Rome including the Catholic Church, which has never been Christian. It is under my honor to accept a comment coming from a certain ignorant, Bob. He will fall on the ground, if he knows, who is BRK. Blessings to all, who talk the truth..! The pope is a communist dope.